watch making, and thus unbound by traditional concepts. From the fertile ground of Japan’s Economic Miracle came the idea of an instrument wristwatch that would be unbreakable. After several years of hard work developing electric calculator prototypes, four brothers of the Kashio family officially founded Casio Computer Co., Ltd. in Mitaka City in 1957. At this time calculators were the sole province of business, large stand-alone machines used for clerical and financial calculations. The introduction of transistorized electronic calculators in the mid ’60s led to the appearance of smaller desktop models, a development which led Casio into the world of integrated circuitry in an effort to shrink size even further than its competitors. In the midst of what is now known as the “Calculator War,” Casio created the new concept of the personal calculator, one small enough and inexpensive enough for anyone to own and use. The Casio Mini was introduced in 1972 at the remarkably low price of ¥ 12,800. This novel handheld calculator brought Casio international success as it sold more than one million units in less than a single year. In those next few years many of Casio’s competitors would withdraw or fall as Casio was clearly established as one of the winners of the Calculator War. As a rising power in the new world of integrated circuitry, Casio sought opportunities for diversification and expansion. A great opportunity for this technology lay in the equally new world of solid-state quartz wristwatches. Neighbor and market leader Seiko had introduced six-digit LCD digital wristwatches in 1973 to compete with the LEDs and 4-digit LCDs already on the market. Much like the analogue quartz watches of the early ’70s, these first generation digitals only told the time. According to Tadao Kashio, “It became logical for electronics-based companies to participate in the watch market.” They saw potentials in digital watches yet unrealized, so Casio decided to challenge the domestic hegemony of Seiko and Citizen, purchasing a watch case manufacturing facility in Taiwan from Bulova in 1974, and introducing its first wristwatch in November that year. Their “Casiotron” was the first digital watch to feature a perpetual calendar – a function which we now take for granted. Its introduction preceded the general appearance of multifunction digitals in 1975 by Seiko and others, which featured alarms and chronographs, and later of course calculators and more complex computational and organizational functions. The G-Shock was introduced to the international watch market in the early 1980s, and while it failed initially in Japan, it achieved enough success overseas to sustain production. Casio’s domestic market responded in time, elevating the G-Shock to the leading digital watch sold in Japan as Seiko withdrew into analogue quartz. The late 1980s saw the beginning of a wide proliferation of new G-Shock designs and technologies that continues to today. Indeed one might say that the G-Shock is the Swatch of Japan: Changing seasonally to hold the fickle youth market, with a continual procession of limited editions to hold the collector market. watch making. While there appears to be as wide a breadth of focus for G-Shock collectors as mechanical watch collectors, the central focus and purest guild centers around the direct bloodline of the original G-Shock introduced nearly 20 years ago. This school of connoisseurship is as dedicated and as pure as any other, and based in the real quality and characteristics of the product – a quality not easily seen or readily appreciated. 2. Hardened mineral crystal (protected by raised bezel). 4. “Floating module” concept: Surrounded by urethane foam on its sides and bottom. Buttons are attached to the steel case, not the quartz module. In sum, a polished stainless-steel Oyster-type case, cushioned and protected from abrasion on the outside by an extensive rubber bezel, with a free-floating movement cushioned on the inside with foam-rubber buffers. The quartz module 240 at the center of all this protection featured a selectable 12/24-hour time display, perpetual calendar, 1/100-second chronograph, 60 minute countdown timer, alarm, and was powered by a Lithium cell which offered a battery life of 10 years or more. Night visibility was provided by a orange miniature bulb to the side of the LCD screen – something which we all probably remember without much nostalgia. A water-resistance of 200m was achieved, far exceeding the original goal. Part of the genius of the design was that the urethane bezel and straps could be replaced easily and inexpensively, which allowed hard use without hesitation. The DW-5000C was introduced in April of 1983 at a price of ¥ 11,400, just slightly less expensive than the “Mini” calculator which had allowed Casio to enter the wristwatch market. It was a large watch by contemporary standards, nearly 43mm wide and over 13mm thick. This proved to be its temporary downfall in the domestic market, but luckily it did not hinder its acceptance outside of Japan. I do not know how many DW-5000Cs were made, but it was only produced for a single year. Naturally, it is one of the rarest and most prized models for the collector, and a favoured design for limited editions (more on this later). The DW-5000C was succeeded in June of 1984 by the DW-5200C (shown above and right). It was essentially the same watch, equipped with the same module 240. The dial design was slightly simplified, and the price was lowered slightly to ¥ 11,000. In Japan it is now known as the “Hockey” G-Shock as it is this model which appeared in that famous slapshot commercial which was first used to advertise the G-Shock in the US. Interestingly, it was the success of that commercial which created the first surge in G-Shock demand, and finally allowed mass-production of the DW-5200C – essentially saving the G-Shock line which might otherwise have faced discontinuance. Instead, this model was produced until 1987. Contemporary to the better known DW-5000/5200, Casio also experimented with a “Wide Temp-LC” variation of the same basic design. The WW-5100C was introduced in November of 1983, featuring a low-temperature case (internal details unknown) and a Lithium powered module 491. This module featured all of the functions of the module 240, but omitted the light bulb. It was more expensive at ¥ 12,800, but it could operate normally between -30º C and 50º C (-22º F to 122º F). Something which no other quartz watch now or then could claim. Evidently no more than 5000 units were manufactured before it was replaced with the WW-5300C in December of 1984. Again, merely a dial redesign and a price slightly lowered to ¥ 11,400. Some 15,000 units were sold before the Wide Temp-LC lineage was discontinued permanently. In some ways they were the ultimate G-Shocks, but market demand apparently did not validate continued development and production. The sole heir to those first and second generation pairs of G-Shocks to continue the original #5000 design was the DW-5600C introduced in June of 1987. While there are minute dial changes between the DW-5200C and the DW-5600C, the primary evolution offered by the new generation were its modules 691 and 901. As before it featured selectable 12/24 hour time display, perpetual calendar, 1/100-second chronograph, and alarm, but it now upgraded the 60 minute countdown timer to a 24-hour timer, and added a new dual time function which displayed two timezones simultaneously. Like its predecessors it was Lithium powered, offering a battery life of 5 to 10 years depending upon use of the sidelight and alarm functions. The price was again lowered to ¥ 9,800 – the least expensive any G-Shock of this lineage would ever be. Amongst collectors in Japan it is now generally known as the “Speed” model, due to its association with Keanu Reeves and the movie Speed (1994). Though technically only the DW-5600C-1V (the “V” designating an export model) is the Speed model proper. The sole distinction that I am aware of for models of this vintage or earlier is that domestic market models had water resistance marked in bar, while overseas models were marked in meters. Casio began to offer totally new G-Shock designs starting in 1985, and the DW-5600C was just one of a crowd which grew every year – a growth fueled by Japan’s economic bubble. Many of these new models were bigger and flashier, including little graphic displays that usually did nothing useful, though some were mission-specific specialized tools. Perhaps to spice up the stolid and pure instrument design of the DW-5600C, Casio began to offer it in an array of coloured urethanes throughout the late ’80s and early ’90s: blue, yellow, green, and other colours, though black remained the mainstay. 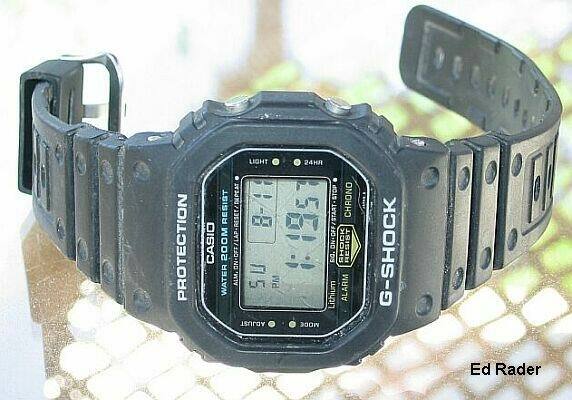 Casio also released a limited re-edition of the DW-5000C in May of 1993, for the G-Shock 10th Anniversary. This “DW-1983″ featured the same module 901 used in the regular production DW-5600C. The edition of 1,983 was sold in posh polished wooden cases and priced at a hefty ¥ 18,000. 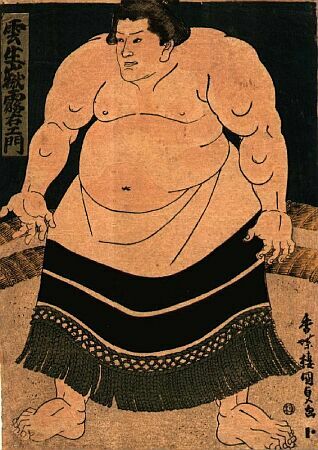 It is the most expensive member of this lineage ever produced, a price validated by the collectors market which presently values NOS examples at over ¥ 100,000. For the purest of the G-Shock purists, the DW-5600C and its variants are the end of the true G-Shock line aside from a smattering of limited editions like the DW-1983. The DW-5600E which replaced it in June of 1996 looked little different than its predecessors of the past dozen years, but beneath the urethane bezel there were extensive and fundamental changes: The heavy stainless-steel Oyster-type case and screwback were replaced with a composite fiberglass case with a stamped steel panel back held by four screws. The urethane bezel itself was modified slightly for the first time, adding stepped ridges which raised the words “G-Shock” and “Protection,” in theory offering greater impact clearance for the mineral crystal. The new module 1545 set aside the dual-time function, but allows one to see the current time simultaneously while using the timer or chronograph functions. In response to the Indiglo nightlight which Timex had introduced 1992, Casio included an electroluminescent (EL) backlight on this and other contemporaneous G-Shock modules. In reference to this domestic models would typically bear the term “Foxfire,” while export models bore “Illuminator.” Though it also used Lithium power, the DW-5600E was the first of its lineage not to be marked “Lithium” on its dial. Lithium cells were no longer a novel technology as in the ’70s and ’80s, and due to the power consumption of the EL backlight it would not necessarily offer an extremely long battery life. In this case Casio only predicts 2 years. From the die-hard collectors viewpoint the case redesign is a fatal cheapening of the classic, yet I expect that from the viewpoint of the manufacturer it is another technological step forward. While retaining the same 200 meter water-resistance rating as the steel-cased models, the new composite-case and steel panel back made the watch about 30% lighter, and better fitted to the wrist, with a price 20% lower than a steel-cased version (¥ 11,000 vs. ¥ 14,000). 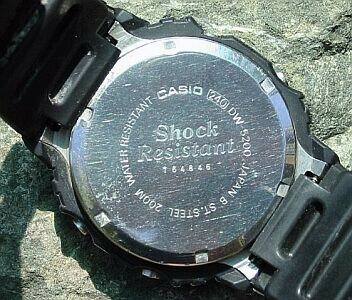 Casio also argues that a composite case offers shock-resistance superior to a steel one. The DW-5600E has still proven to be a popular platform for limited editions, which seem to appear several times a year. Not surprising since up to 70% of Casio’s watch production is formed of limited editions. Last year Casio once again re-released a DW-5000 limited edition, this time using the current module 1545. By official reports the steel-cased classic sold out in a single day. The most solid claim to fame of the DW-5600E is its official adoption and usage by NASA as one of only four watches flight-qualified and issued for use on the Space Shuttle. However it has not attained a special nickname with collectors, usually referred to with the backhanded “Speed Reproduction.” However much this CPB generation might be looked down upon by connoisseurs, that the rubber bezel and straps remain interchangeable across all of the generations (models 5000C, 5200C, and 5600C/E) is a kind of proof of genealogical continuity over two decades – something not expected in the supposedly ephemeral world of digital watches. And even if the DW-5600E is not as coveted a collectors item, it remains a reliable tool given hard use worldwide and off-world. Collectors both in and outside of Japan tend to place a premium on G-Shocks that are “Made in Japan,” however only a minority of them in fact are. Casio only has one domestic wristwatch manufacturing facility, Yamagata Casio Co., Ltd. in Higashine City. Its primary watch manufacturing facilities are the Casio Korea Co. Ltd, Casio Taiwan Ltd., Asahi Electronics Co. Ltd. (Thailand), and Casio Sdn. Bhd. (Malaysia) subsidiaries, with others in China and India. This collector mentality is perhaps reflected in Casio’s manufacturing practices, which sees the standard DW-5600E manufactured in Thailand, with only the limited edition DW-5600E variants made in Japan, as was the aforementioned DW-5000 re-issue. Not slated for release until mid-September 2002, the “Tough Solar” G-5600 shown above may offer some redemption to those disappointed with the DW-5600E, though this latest offshoot of the lineage is probably not intended to be a replacement, and it too will have a composite case. Improvements will include a 100-hour countdown timer, five alarms with a new “snooze” function, the return of the dual time feature, and a case 1.3mm thinner. The Tough Solar drive will regain it the battery life tenet of the Triple Ten concept lost over the last several years, as its dual-batteries are expected to never need replacement. It also features a fully automatic EL backlight, which senses ambient light levels and in low light can autonomously activate the backlight at a tilt of the wrist. Finally, it features a sleep mode, which from full charge allows the watch to remain dormant with the LCD off for up to two years before running out of power. This state-of-the-art model may provide a refuge for those who cling to the original G-shock vision without gimmicks or gewgaws, and who take comfort in the austere presence of a pure instrument. 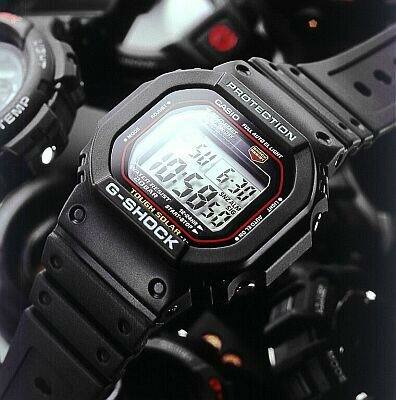 G-Shocks have become semi-mythological cultural icons with a life independent of the Casio brand. While it will likely be mostly known among the masses for the brightly coloured and largely disposable plastic watches born of the 1990s G-Shock boom, it is the original genius which remains its soul. This small delving hopefully shines some light on the essence of this idea, an idea infused with purpose and made real by it. The heavy-duty digital sports watch in its most quintessential form is something which we as enthusiasts of horology often take for granted and overlook – just like the aforementioned masses. Unlike most watches made today, digital or analogue, it is not a celebration banner of the wearer’s ego, but as a tool it serves silently and reliably, without fanfare or special attention. It is this authenticity which prevents its exclusion from the class of “real” wristwatches, indeed perhaps being the most real of them all. G-5600 courtesy of Casio Computer Co., Ltd.